If you are a busy professional working from home, you know how important it is to have a clean home and home office. The Maids uses a proven deep cleaning system and a four-person cleaning team to come in and clean your home and office efficiently and effectively. You’ll make a great impression on clients who visit your home office with a clean and tidy space. The Maids provides reliable and consistent service by a team of cleaning professionals who are bonded, insured, supervised and trained. We are proud of our high rate of employee retention and a management team with a ten year relationship. We strive to make sure you see the same four-person cleaning team on each visit. The Maids will work on your schedule to provide a home office cleaning service when it is most convenient for you. Our employees provide excellent quality and dependability so you know your home office will be cleaned thoroughly and on time for every scheduled visit. Our cleaning team can provide customized cleaning services to fit your unique needs. We use proven techniques and state-of-the-art products and tools to give you a cleaner clean, riding your home and home office of dust, allergens, bacteria and harmful pollutants. Your feedback is important to us and we urge you to communicate with us should you have any questions or comments about our cleaning service. Send us your emails, call us on the phone, or post reviews on Facebook so we can improve our quality of service and build better relationships with our customers. 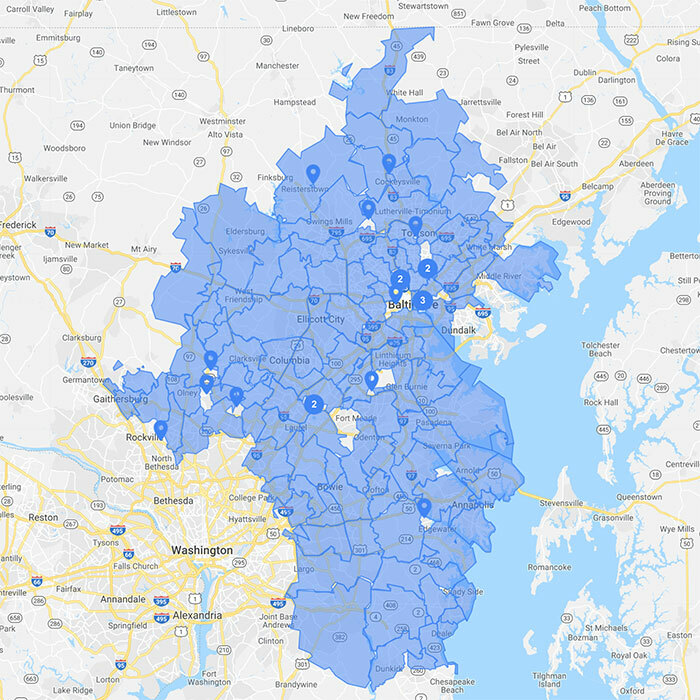 See if The Maids Maryland services your area by click to see our map or list of cities and zip codes.